Nikolay Saratovski was born in 1987 in Petrozavodsk. He studied at the Central Music School at the Moscow Conservatory named after Tchaikovsky (the class of Honoured Artist of Russia, professor Elena Richter). In 2010, he graduated with honors from the Moscow State Conservatory named after Tchaikovsky in the class of the same professor, and graduated from the post-graduate studies in 2013. 2003 – 3rd Prizewinner of the International Piano Competition (Andorra, Spain). 2004 – 5th Prizewinner of the International Piano Competition (Porto, Portugal). 2005 – 1st Prizewinner of the International Competition of Young Musicians (Moscow). 2006 – 6th Prizewinner of the International Piano Competition in Hamamatsu (Japan). 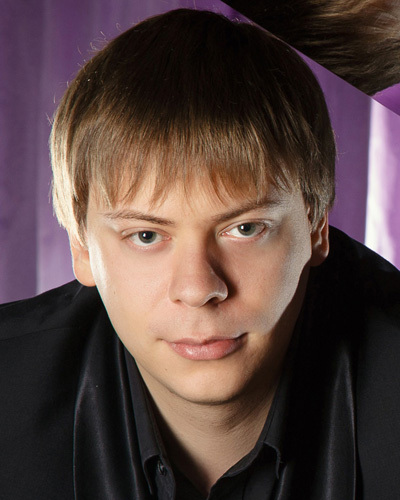 2007 – 3rd Prizewinner of the International Piano Competition in Ruza. 2010 – 3rd Prizewinner of the Cidade de Ferrol International Piano Competition in Spain. 2011 – 1st Prizewinner of the Cidade de Ferrol International Piano Competition in Spain. 2013 – 3rd Prizewinner of the International Piano Competition in Taranto (Italy). 2013 – 2nd Prizewinner of the International Piano Competition in Madrid (Spain). 2014 – 2nd Prizewinner (the 1st prize was not awarded) and Audience Award of the Arcangelo Speranza International Competition in Taranto (Italy). In 2015, became a member of the International Certificate for Piano Artists program (ICPA) based in Brussels. Since 2016 is a member of the Piano teachers national association. In 2002, he was awarded the scholarship of the President of the Russian Federation. He has been carrying out vigorous concert activities, performing as a soloist and with orchestras in Russia, Belarus, the EU, the US, Canada, Japan, South Africa and others. Since 2011, he has been regularly conducting master classes in Japan.